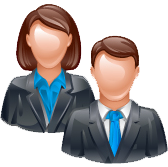 SalesQB.com (Company) respects the privacy and confidentiality of its past, present and potential future clients. Any inquires made of Company via this Site and/or Service will be treated accordingly. We use the information you provide about yourself for internal use only. We do not share this information with outside parties. USE OF THE SITE AND/OR SERVICE IS AT YOUR OWN RISK. NEITHER Company NOR ITS EMPLOYEES, DIRECTORS, AGENTS, SUBSIDIARIES, AFFILIATES, REPRESENTATIVES, LICENSEES, OR LICENSORS SHALL BE LIABLE TO YOU OR ANYONE ELSE FOR ANY LOSS OR INJURY OR ANY DIRECT, INDIRECT, INCIDENTAL, CONSEQUENTIAL, SPECIAL, PUNITIVE OR SIMILAR DAMAGES ARISING OUT OF PUBLICATION, ACCESS OR USE OF, OR INABILITY TO ACCESS OR USE, THE SITE AND/OR THE SERVICE OR THE MATERIALS OR THE INFORMATION AVAILABLE ON THE SITE AND/OR SERVICE OR ARISING OUT OF ANY ACTION TAKEN IN RESPONSE TO OR AS A RESULT OF ANY MATERIALS OR INFORMATION AVAILABLE ON THE SERVICE AND THE SITES. YOU HEREBY WAIVE ANY AND ALL CLAIMS AGAINST CEO Focus LLC AND ITS PARENTS, SUBSIDIARIES, DIVISIONS, AFFILIATES, AGENTS, REPRESENTATIVES AND LICENSORS ARISING OUT OF YOUR USE OF THE SERVICE AND THE SITES AND THE MATERIALS OR INFORMATION AVAILABLE THEREON.